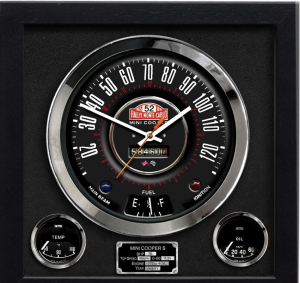 Our Speedo wall clock is based on the classic Mini Cooper S speedometer used in the 1964 Monte Carlo Rally. The clock faces and background are printed individually using a fine art print process onto matt heavyweight archival paper. The clocks are then framed under glass, in a black stained wooden frame. The mechanism is a German quartz movement powered by an AA battery (not supplied). 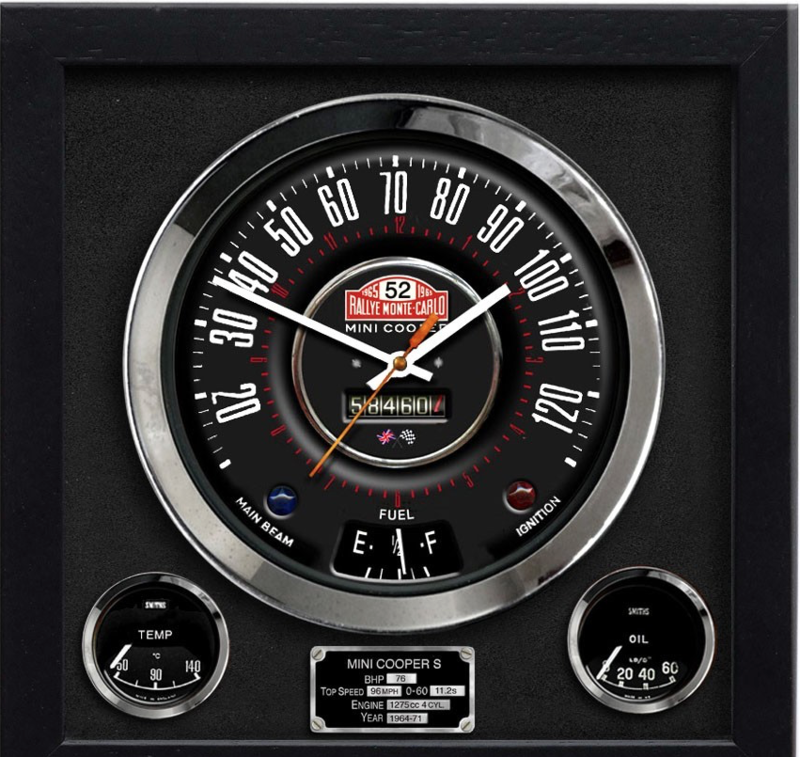 Other speedo designs are available, please contact us for details.